Searching for a new Mazda CX-3 for sale near Goldsboro? Look no further than our inventory of new CX-3 SUVs in stock here at Medlin Mazda. The 2019 Mazda CX-3 comes standard with a fuel-efficient 1.0-liter four-cylinder SKYACTIV-G engine delivering 148 horsepower. With a sleek exterior design and a cutting-edge Mazda Connect infotainment system, it’s easy to see why the new CX-3 is a popular choice among Greenville drivers. Browse our inventory of new Mazda CX-3 SUVs for sale to discover the perfect one for you! Monthly payment includes $595 acquisition fee. No security deposit required. Excludes taxes,titles and fees. See dealer for complete details. Offer ends 4/30/19. Here at Medlin Mazda, we want to make it as easy as possible for you to get behind the wheel of the brand new vehicle you’ve been wanting. With our new Mazda specials and Mazda Incentives, you can rest assured you’ll be getting the best possible deal on your new CX-3. 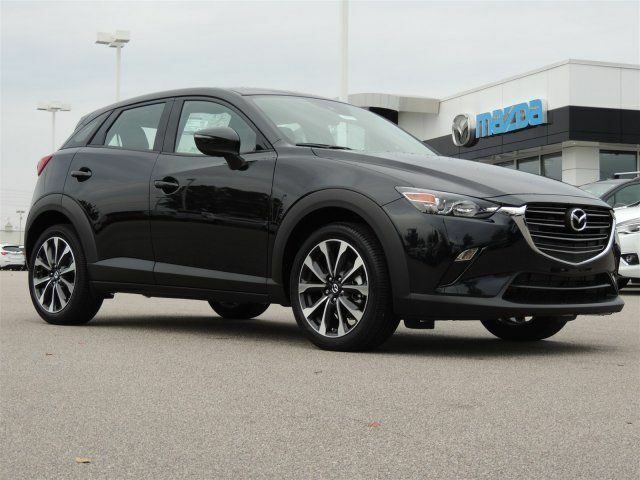 Once you’ve browsed our inventory of new Mazda CX-3 for sale and discovered the compact SUV with the cargo space you need, it’s time to stop in for a test drive. Contact us today to schedule your visit to our showroom in Wilson near Tarboro.